Websites are very important tool to present your business online and to reach new users from different parts of the world. The internet have changed the way we do business. In most times we have visitors in our websites that can be our clients in the future. So we want to keep them updated with emails and notice them we are in business. The themes below comes the subscription box that let you to get new leads. 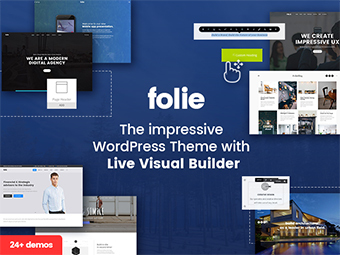 Folie is one of the best Multi-Purpose WordPress Themes for creative and business websites. Theme have live visual page builder and customizer. With Revolution Slider and Codeless Slider you can realize great sliders with animations and very eye-catching. Theme is fully integrated with MailChimp and have it styled in different demos. So you can maintain your users subcribed or create new leads. Folie is tailored to be perfect for any type of website with unlimited style option and great customizability. Groggery have all the features to be a perfect theme for restaturant and bars. Also theme have integrated MailChimp plugin for subscription box. Themes satisfies numerous demanding customers with the great UX/UI experience. The template makes an unique point in the discussion of the menu f your restaurant. This Multi-purpose WordPress Theme developed specifically for Restaurant, Cafe, Convenience food. This is a Landing MultiPurpose WordPress Theme with Subscriber box on the slide. 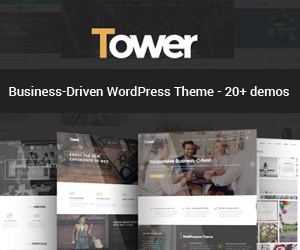 Theme have a fully integration with mailchimp. Landx comes with Visual Composer and Revolution slider. Well commented and Advanced theme option and Pagebulder will help to customize the template very easily. Theme is lastly updated and very good rated. LMS is a responsive understanding monitoring system for WordPress, and considering that it showcases programs, teacher profiles, quizzes, rankings, customer profiles, program tracking, and much more it’s an excellent begin for your online curriculum. This WordPress education theme is supported with MailChimp and Contact Form 7. Educon education theme lets you save $34 as it includes Visual Composer premium plugin. 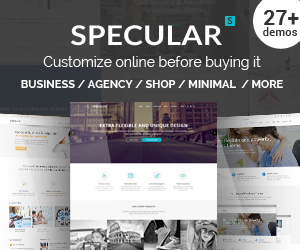 Innovative multipurpose theme, developed to supply excellent quality, professional-looking, creative and cutting-edge websites for all type of jobs and also needs throughout the board, however especially concentrated on the aesthetic as well as style requirements of highly innovative internet sites. The “Include Element” offers you accessibility to a large selection of attributes that you could utilize on your homepage– you start by adding areas and then including aspects per section. In this collection we provide layouts of all kinds, including: service, gaming, wellness, medical, coffee shop, etc. Powerful Admin User Interface Very Personalized No coding expertise needed One-Click Demo Web Content Import Large collection of pages and formats Select Core Plugin with customized article kinds WooCommerce Combination YITH Product Dimension Graphes for WooCommerce plugin compatibility. YITH WooCommerce Wishlist plugin compatibility Select Product Checklist shortcode Select Featured Item Listing shortcode Customizable Shop web pages Individual Account performance Numerous store checklist layouts Numerous shop list hover types Variable products Organized items Downloadable products Affiliate items Smooth Web Page Transitions. Preloading Result– select from 15+ loader symbols Smooth Angle Wipe loading effect Full Display Select Slider with parallax useful. The aesthetic page builder is really versatile, causing a striking business page. Finance Press is Completely Responsive! Strong focus on the smart device and tablet computer experience. PartyMaker allows you avoid your existing customer’s spin by identifying a problem when it’s still early enough. The theme was created with various specific niches as well as occupations in mind– blog writers, online shops, lawyers, agencies, wedding planners, hosting firms, nonprofits and more. It is perfectly suitable for a wedding planner, planner of special occasions and special moments like birthday, anniversary, engagement party or any other events. That make it simple to produce personalized layouts and layouts for your website. Slider builder tools that allow you to include computer animated sliders to your web content; assistance for the very best eCommerce plugins that provide you the capacity to charge for your services and also products directly from your website; and several pre-built page layouts for a wide variety of functions. Due to the implementation of versatile item tools, this theme could be used for hotel discussion, real estate, vehicle rental and tour itinerary internet sites. WordPress is an exceptional system for little to medium sized businesses including dining establishments and food vendors. It uses functions and also choices perfect for producing restaurant, café, coffee store or diner websites. It can be used also for small food businesses around the world. The theme has MailChimp integrated, so you can create a community and send newsletters to the users. InsuRel is designed for insurance companies, for firms who provide tax assistance to corporate and individual clients, for financial and law companies, and individual tax / finance advisors.